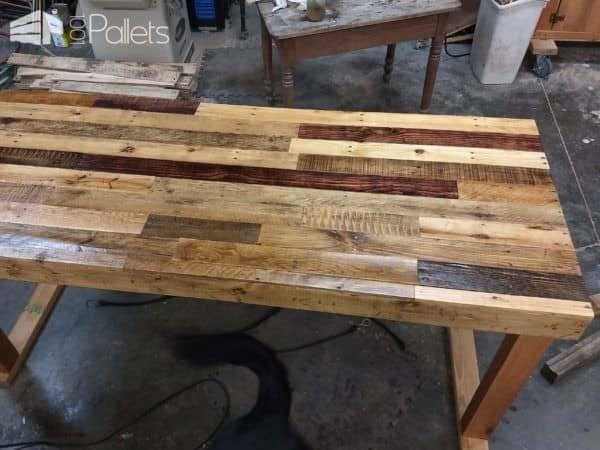 I recently built a Multi-Colored Pallet Dining Table. I used multiple stain colors for the project per their request. By the time it was finished, I had used a total of 13 different colors. I used the same color for all four legs and another color for the four sides of the frame. I focused the multiple tones on the table top. 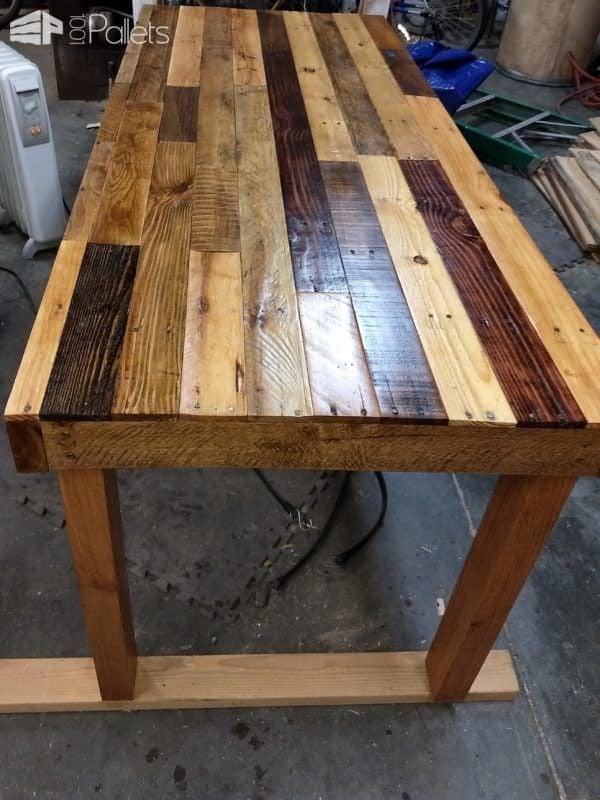 This idea would make a beautiful pallet floor, too! 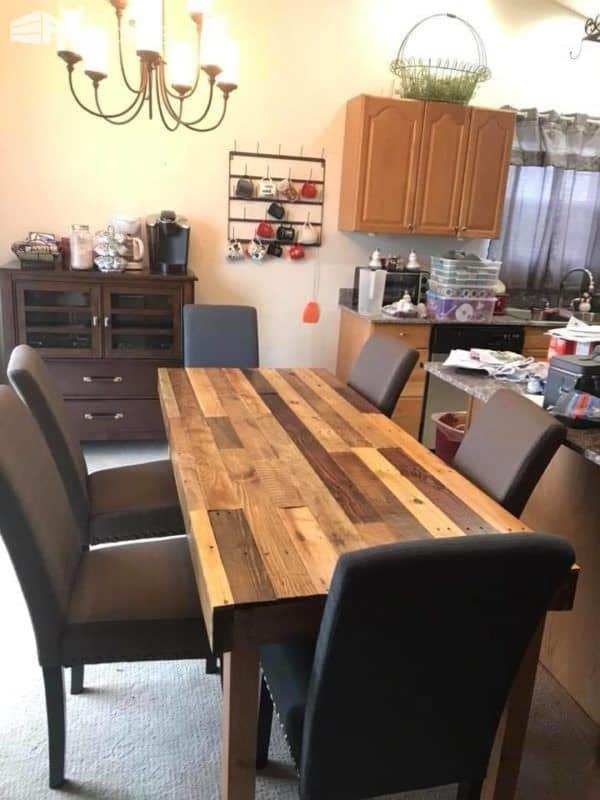 The table was fairly easy to build, but it was time-consuming The legs are solid oak which I am fortunate enough to be able to get for free from a factory where my son works. They receive massive pallets of sheet metal with large pieces of oak stacker boards in between the bundles. The stackers are gray, rough and weathered when I get them, so I run them through a Delta planer. The oak legs transformed into beautiful lumber! 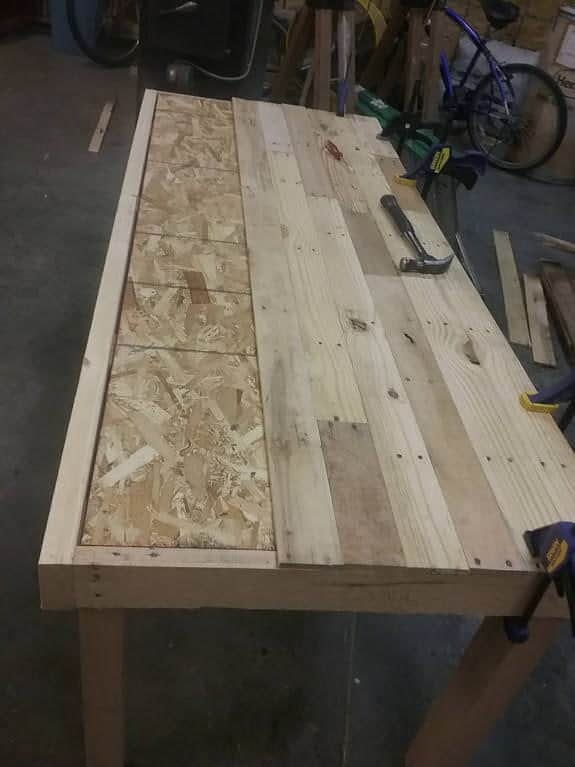 I used a sheet of 1/2" OSB as a foundation where I glued and nailed the pallet deck boards. 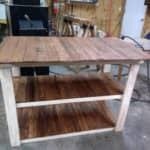 Next, I used three pallet runner boards as "ribs" for extra strength and stability under the table top. 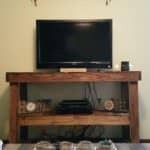 I used a Kreg jig to attach them to my frame. 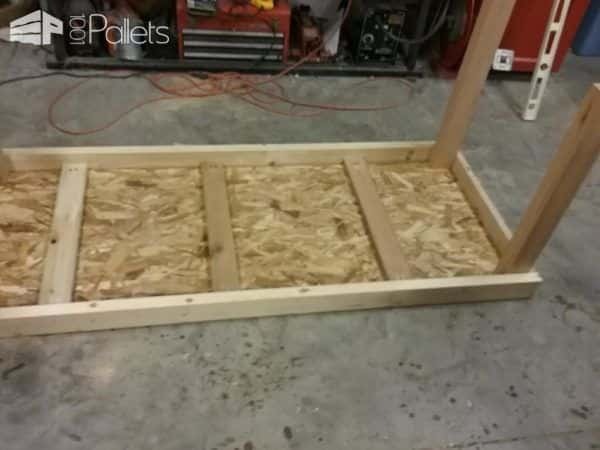 The two narrow ends of the frame are also pallet runner boards. I purchased the long pieces of 2" x 4"s which I distressed to make for more of rustic/rough look. I had to cut all of the deck boards for the table top four times: once to square off one end, then cut to the desired length, then rip a small amount off of one side to square it up, and finally rip the other side down, so the piece is entirely square.  If you don't do this step, you will end up with gaps on your tabletop. I attached the deck boards with wood glue and 1 1/4" finish nails. After staining, I applied two coats of semi-gloss polyurethane. The finished dining table. 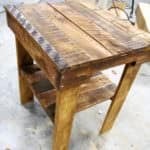 This table is suitable as a rustic element or right in the middle of a modern-styled dining room! Two coats of semi-gloss polyurethane made the wood look vibrant and gorgeous! Plane the wood, but leave some of the old sawmill marks! I used 1/2" OSB as the base of the table. The plywood provided strength and a place to glue/nail the deck boards down.